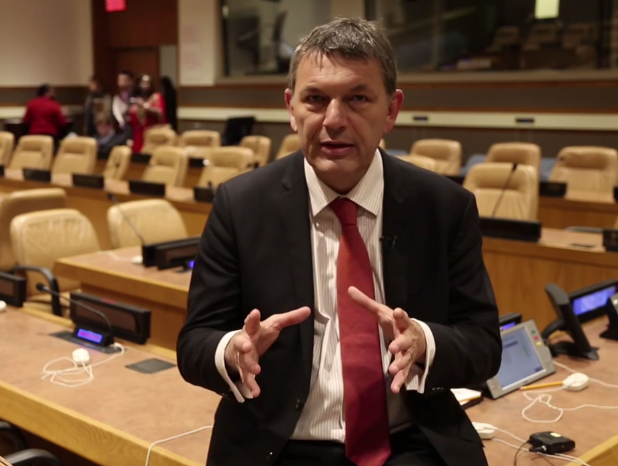 As the country is faced with drought, investing now can help avert an emergency or worse, a famine later, says Humanitarian Coordinator Philippe Lazzarini. Despite the fact that, to date, only 34% of funding needs have been met, the United Nations and its partners are scaling up the response to assist the people affected by drought in some regions of Somalia. Hear from the Humanitarian Coordinator, Philippe Lazzarini, as he explains why it is so crucial that progress continues in order to avert another famine and that Somalia remains high on donors' agenda.